Can you afford to ignore your clients while they wait? 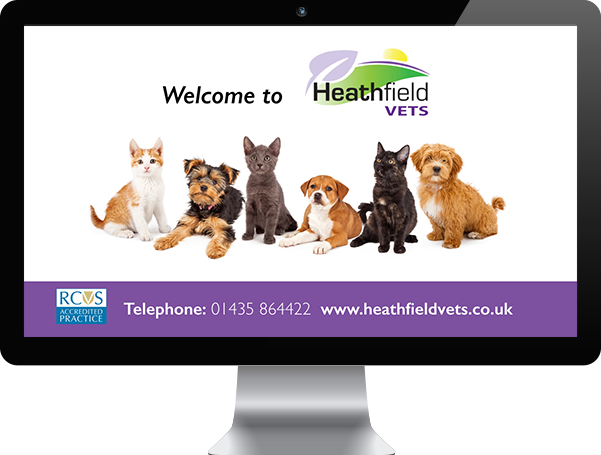 Engage and entertain your clients using a wide range of vibrant pet healthcare videos. Educate pet owners to help them make informed choices on responsible pet ownership, including topical and seasonal awareness videos. Promote and inform your practice information, together with any promotional messages such as your health plan or nurse clinics. Between clients and your team as the service encourages topical dialogue during consults and time spent with your reception team. Communicate key marketing messages through on screen educational and product promotion whilst your clients are at their most receptive. You choose the videos that reflect your clinical focus, marketing and promotional offers. It’s easy to manage and can be instantly updated. Your clients’ attention will be drawn away from the wait itself, as occupied time feels shorter than unoccupied time. Practice Information – Make clients aware of your practice information such as team, opening hours and surgery services. 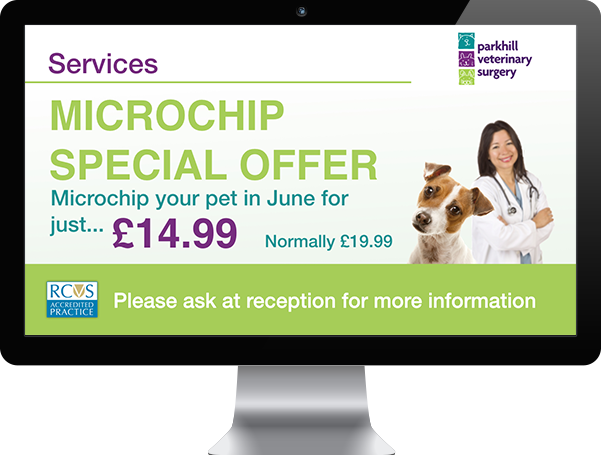 Practice Promotions – Promote your current offers, such as your Pet Health Plan or microchipping offer. Social Media – Promote your Facebook, Twitter and other social media channels. Awareness Events – Make clients aware of local events and educational evenings. 'We have The Vet Channel waiting room TV in some of our Pet Hospitals to help educate pet owners about the work we do, provide preventative care advice and vital animal welfare information. We receive positive feedback from our veterinary staff, highlighting the educational role the system provides whilst people are sitting in the waiting room." "The Vet Channel waiting room TV works incredibly well and fulfils the role of a focussed educational and marketing tool." 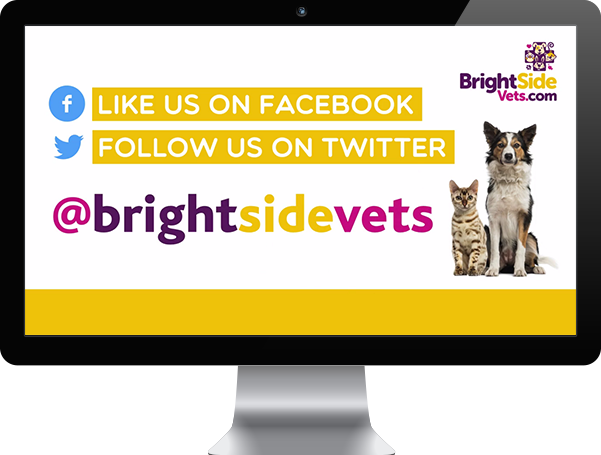 "Our entire team are dedicated to customer care and use The Vet Channel as part of a coherent approach to marketing, to inform, engage and educate our clients whilst they wait for their consult." 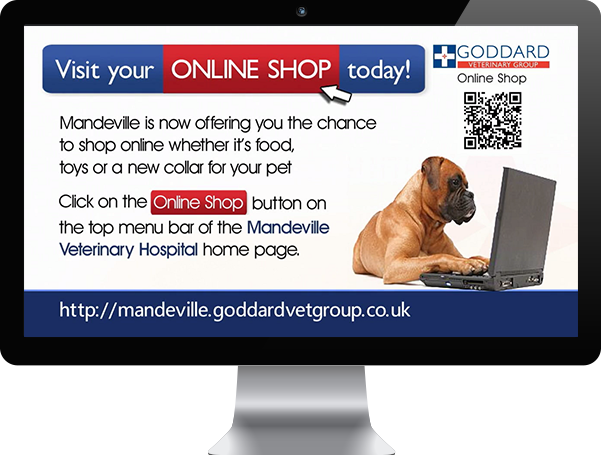 Screens can be self-supplied or purchased from The Vet Channel. We offer commercial grade screens with a 3 year swap out warranty to suit your particular requirements. Prices are available on request. Supplied and installed by our nationwide team of engineers. This includes installation of double power, bracket/screen mounting, network connection and VETPod digital signage installation with an unlimited lifetime warranty. Just give us a call to find out our latest prices. There is a subscription cost which can be paid annually or by an optional monthly direct debit payment plan. See below for further details. The Vet Channel work in partnership with many groups to make waiting room TV more affordable. Please contact us to find out about the latest offers for your group.